The Omate Rise Limited Edition smartwatch with built-in Amazon Alexa Voice Service has been announced. This limited edition wearable will be open for pre-orders from 1st to 3rd September via an IndieGogo 'Flash Sale'. 1000 buyers will receive an individually numbered edition from $199 to $249, with shipping in December. 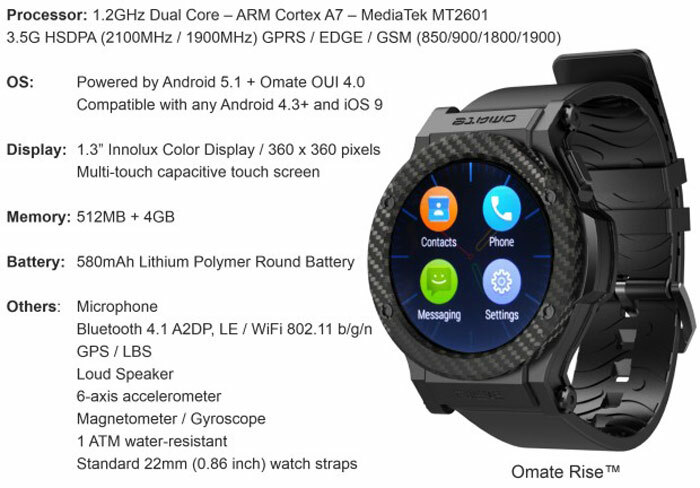 Omate's smartwatch is a standalone device which packs a SIM card (up to 3G data speeds) for mobile connectivity as well as Wi-Fi, GPS, and Bluetooth LE radios. Interestingly it uses the full Android OS rather than 'Android Wear', currently it has Android 5.1 Lollipop with the Omate User Interface 4.1. 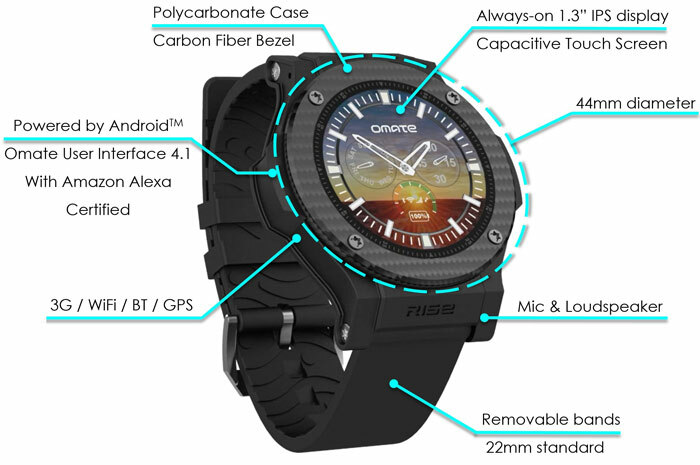 You can see an overview of the Omate Rise specs in the diagram below. This limited edition, as well as offering an attractive price, comes with Amazon Alexa pre-installed. 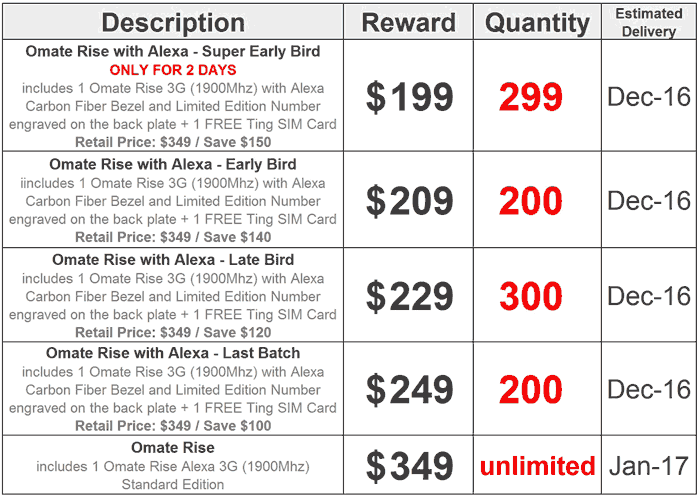 Other editions will be able to add Alexa later this year. Alexa will bring over 2,000 'skills'. Like voice commands, to your wrist, you simply press a button on the watch and state your query/request. e.g: "Ask Uber to get me a car" or "Open Domino’s and place my Easy Order". A free Ting 3G nano-SIM card bundled with the watch might appeal to US customers. Omate previously held a similar flash sale, so even if you miss out on this one they may well be another before the general availability of this smartwatch.